Carlow Methodist Church is located on the Athy Road, Carlow, Ireland. From the time of the arrival of Methodism in Carlow the Methodist community worshiped at various locations in Carlow town. On April 15th 1898 opening services were held in the present church and weekly services continue to be held in the church to this day. 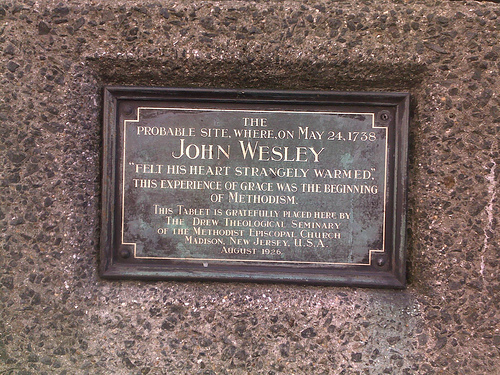 The Methodist movement was founded in the 18th century by John Wesley. It was founded to bring about a reformation within the Church of England. However the movement became a separate church and today it has millions of adherents worldwide. 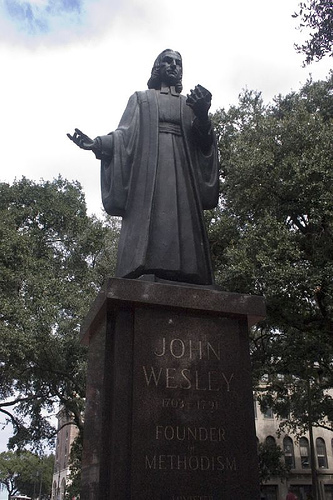 John Wesley was ordained a priest of the Church of England in 1725. He went with his brother Charles to Savannah, Georgia in America on missionary work. However their mission was not a success and they returned to England. Shortly after his return Wesley had what he called a ’conversion experience’ whilst attending a Moravian service at Aldersgate Street in London. Shortly thereafter, with his brother Charles, he established a Methodist society in London and later in the city of Bristol. He began preaching to colliers in the city of Bristol and the Methodist movement had begun. They were called Methodists because of their methodical approach to religious observance and their strong commitment to charitable works. Wesley first visited Ireland in 1747. He became a regular visitor in the following years. He visited Carlow where he preached and held services on six occasions. His first visit to Carlow was in 1765. He paid his final visit to Carlow in 1789 when he was 66 years old. John Wesley had what he called a ‘conversion experience’ in the year in the year 1738 On This Day. St Anne’s Church of Ireland on Athy Road Carlow, Ireland was dismantled and moved to Graiguecullen where it was dedicated as St Clares Catholic Church 1929. Henry Bruen of Oak Park, Carlow defeated Daniel O’Connell Jnr in the General Election of 1852 to become MP for Carlow. 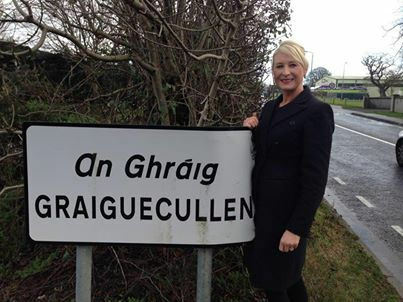 Bruen’s supporters held a collection to make the new MP a presentation to celebrate his success. 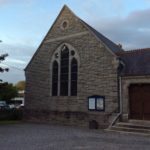 Bruen suggested that the £2,000 which had been collected be put towards the building of a Church on a site he owned at Kelvin Grove on the Athy Road. The Gothic style Church which was cruciform was in shape and built in 1852 was called St Anne’s. The church was used by the local congregation during the following decades. However in the early 1900’s it was closed due to small numbers attending church services. At that time St Fiacc’s Parish Church on the west side of the River Barrow in Graiguecullen (then Graigue Carlow) was overcrowded and in poor condition. The Parish Priest of St Fiacc’s was the Very Reverned M. H. Bolger who had served as an army chaplain during World War 1. He was friendly with Henry Bruen of Oak Park who had served in the Royal Artillery during World War 1 and was a descendant of the Bruen who had built St Anne’s Church. They were both golfing enthusiasts and Fr Bolger had played a part in Carlow Golf Club becoming tenants of Deerpark in 1922. Deerpark was then owned by the Bruen family. In 1925 it was announced that Mr Bruen had sold St Anne’s at a nominal price to Fr Bolger. St Anne’s was dismantled and brought to its present location in Graiguecullen. The work was undertaken by Carlow Engineering firm Thompson and Sons. The new church was opened and dedicated on October 13th 1928. The foundation stone for St Anne’s Church containing a scroll and coins of the realm was laid by Elizabeth Joyce Derick, wife of the architect John MacDuff Derrick, in the year 1852 On This Day.